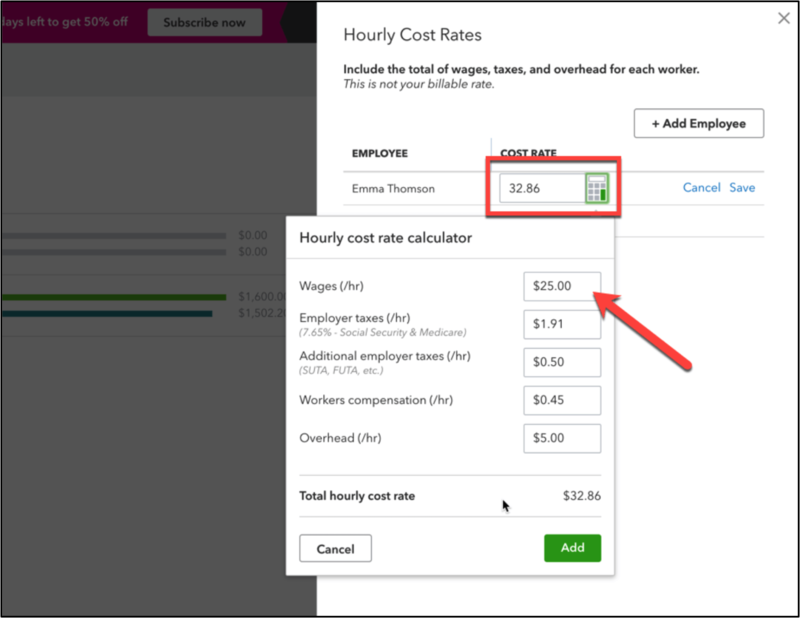 NEW for QuickBooks Online: Labor Costing for Projects! Many clients struggle to know if they are making money on their projects at any given moment; they want to make sure they are charging the right amount and determine whether a project is profitable. 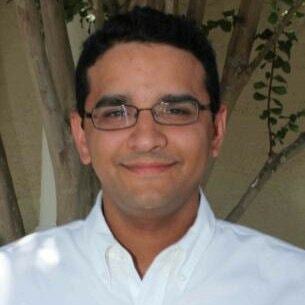 Hector will present “QuickBooks Online Labor Job Costing for Projects” on April 18, 2019, at 1 pm ET. Register Today! Before this latest release, you could do job costing for all transactions except payroll. Now, QuickBooks Online Plus and Advanced will calculate project profitability, including payroll costs. There are two modes to this new feature. 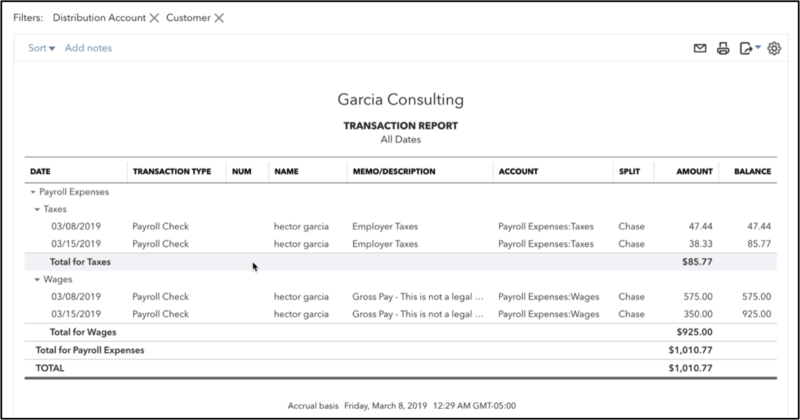 First mode: When QuickBooks Payroll is enabled, both the wages and employer taxes will be allocated to the projects that were used in the timesheets. 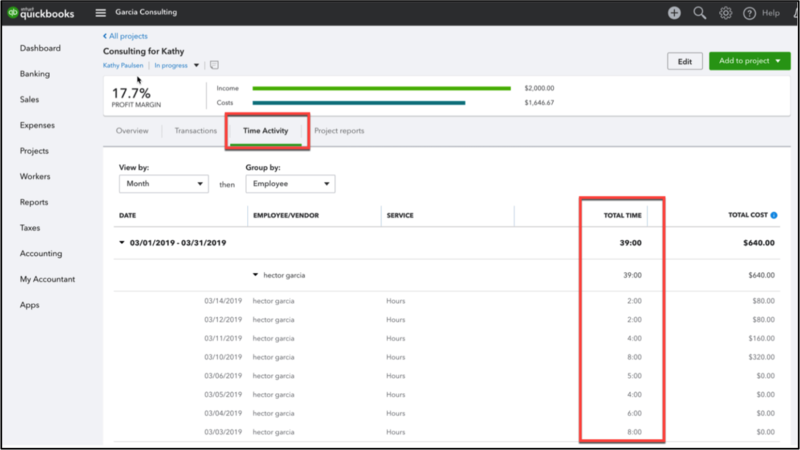 The payroll expenses will only be allocated if the weekly timesheets (or single time activity) are used by tagging time to a project and specifying the pay type prior to creating a paycheck. The total time should be automatically populated when running payroll. QuickBooks recommends tracking time within weekly timesheets or TSheets by QuickBooks before you run payroll. 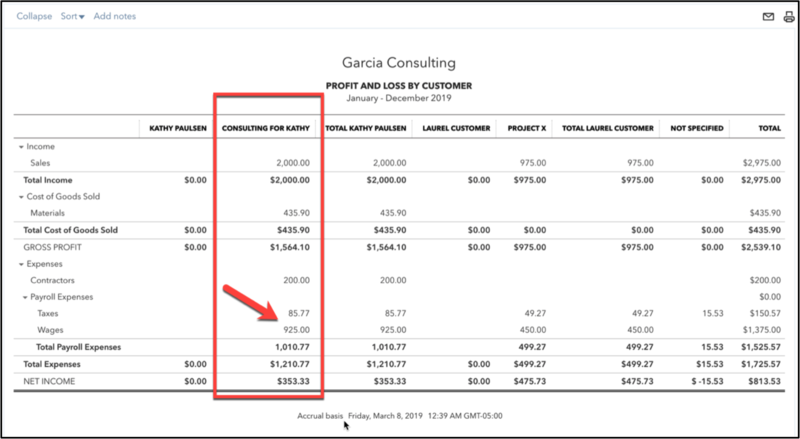 If you edit time within the run payroll experience, project labor reporting will not work. Companies can now use Projects instead of sub-customers and classes to track their projects.